Two brothers in the apartment said that when the dog came in it immediately bit the Yorkie and clutched it in its jaws. LEWISTON — Two people were injured Monday afternoon when they tried to separate two dogs at an apartment, and one of the dogs died of its injuries. 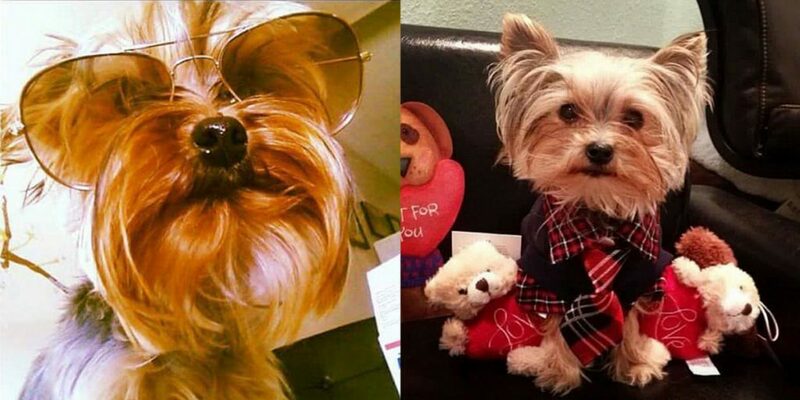 “We’re just devastated,” said Diraida Santos, owner of the 5-year-old Yorkie that was killed. Santos said the attack occurred after a friend of her 17-year-old daughter stopped at the Greater Androscoggin Humane Society shelter on Strawberry Avenue, saw a dog he was interested in adopting, took it for a walk with the shelter’s permission, and brought it to her apartment on Strawberry Avenue. Steve Dostie, executive director of the shelter, said a man came in with a possible interest in adopting a “bully mix” and took it for a walk outside to get acquainted. Taking it inside another building or near another dog violated the shelter’s rules, he said. Santos’ two sons, who witnessed the attack, said when the shelter dog entered the apartment it immediately bit the family’s Yorkie, named Rocco Armani, and clutched it in its jaws. Santos’ daughter and her friend tried to yank the dogs apart, Santos said, but couldn’t do it. The dog just bit the Yorkie harder, she said. The man received lacerations on his face and Santos’ daughter’s hands were cut and they were taken to a hospital, according to Santos and Dostie. The shelter dog will be held for 10 days to make sure no medical issues arise, Dostie said, and then it will be euthanized. Dostie said he hasn’t talked with the owner of the Yorkie, but promised to do whatever he can to help. The man interested in the dog followed the normal protocol for potential adoptions, leaving an identification card at the front desk and receiving instructions not to let it interact with other dogs. Dostie did not identify the man. Dostie said the shelter’s instructions for the dog also included a warning that it shouldn’t be around cats or young children. But, he said, the dog had not been a problem since it arrived at the shelter in February. It was merely “a little rambunctious,” he said. Dostie said they’ve had dogs out for a walk slip off their leash and other minor problems in the past, but they’ve always been able to round up the dog without much trouble. Santos, who was at work at the time, said she came home to find her sons in tears and her daughter in the hospital. She said she got Rocco, who weighed 4 pounds, from a breeder five years ago. He made himself part of the family, she said.